Technology is constantly evolving and it is doing so very fast. The same goes for the technology behind your website — new technology, algorithms, updates, and tweaks are constantly being made. On top of that, your industry, competition, purpose and business goals are changing as well. Add changes in consumer internet use to that as well, and it becomes quite obvious that it is almost impossible for an outdated website to deliver the online results you need. Not to mention that the older your website gets, the harder it gets to manage valuable content. Let’s say that the time comes to redesign your website for the first time. You implement the changes yourself or hire a company to implement a shiny, new, compelling and well-functioning design. Your site goes live and you decide to check your analytics program after a couple of days to see how it’s going. Unfortunately, the results are nothing of what you expected and you end up in a state of shock and despair — the traffic of your website has dropped dramatically and you have no idea why. Wasn’t the whole point with redesigning my website to prevent this? Yes, it was. But don’t be alarmed yet, there might be some good and bad news. The good news is that no matter the changes to a website (small or major), there will always be some decline in traffic. This is because Google has to re-evaluate the new design and content of the website. A reasonable drop would be between 5% and 7% and should be back to normal within a few weeks. The bad news is that the previously mentioned good news described a best case scenario. Worst case scenario, which unfortunately is a mistake that happens commonly, is that no transition and SEO optimization plan was implemented before the redesign. Google will crawl your website but won’t recognize the pattern since it does no longer correspond with what it has previously indexed. To put this in a more human scenario, let’s take the following example. ‘’You walk in the street when someone suddenly taps on your shoulder. You turn around and see a beautiful woman who throws herself around your neck and in a hug. When she backs off again, you eye her up and down without having a clue who she is. She starts talking and you pretend like knowing exactly who she is, in hope of getting some clues that will help you identify her. After a couple of minutes, she says that she still remembers the ice cream you two use to buy together just outside her house, was the best she ever tasted. The coins fall down and you realize that you are talking to your old neighbor who a couple of years earlier, went through major plastic surgery’’. You didn’t recognize the woman because traits you would previously have recognized her by, were no longer there. The comparison is of course very simplistic and in reality, the way crawling and indexing works is a lot more complex, but the bottom line, this is how Google works as well. If you don’t ‘’let Google know’’ and prepare for the changes that are about to come with a redesign, it will no longer recognize your website. So what is the transition plan and how does it work? It was previously mentioned that Google won’t be able to recognize your website if you just give it a ‘’facelift’’ and make it go live. As you might know, what’s visible to the eye at first glance in regards to websites, is merely the tip of an iceberg — it’s behind the curtains that the real magic actually happens and where the engine actually is located. So if you decide to reposition one of the buttons on the engine, without also relocating the cables and wires connected to it, you will end up with a button that you can click but that doesn’t call to any action. It is also important to know that an SEO optimization plan is of highest relevance even if you aren’t planning on redesigning your website in the nearest future. It helps you with getting a clear overview of your website’s functionality and performance. You might have noticed that for some reason your website isn’t functioning as it is supposed to, and sometimes you might not even be aware of a problem that exists on your website. 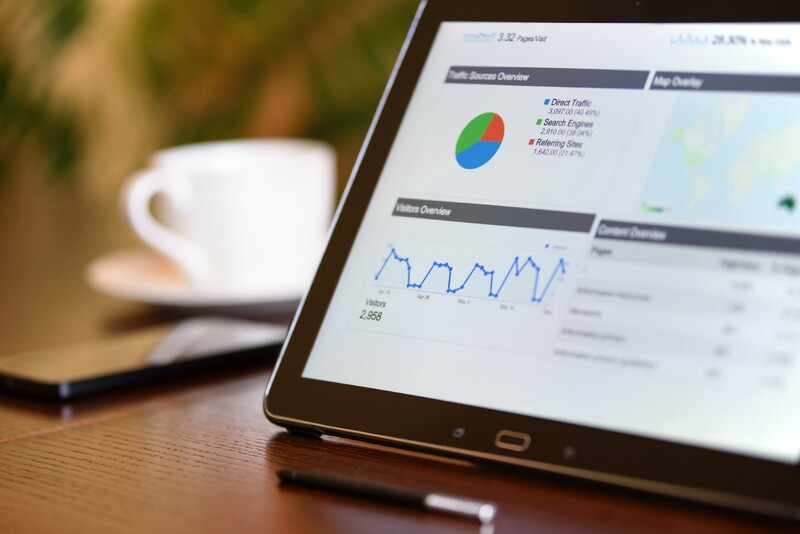 Since the SEO optimization plan requires you to analyze your website from its very depth, it can also help you with finding different problems to which solutions can boost your rankings. Let’s talk about some of the different steps that are important to take. It might be an idea to start off your planning with assembling a spreadsheet of all the content on your website and break it down to a couple of stages. For example, identify which of your content is a high priority, low priority and which content will be deleted. Priority, in this case, is for example pages that have received a lot of traffic (like your landing page) and frequently read blog articles. Not only will it help you with knowing what to focus on, but also to plan out how much time and effort it will take to redesign different parts of your website. Google Analytics can be of great use when identifying your priority pages and finding out how much traffic your different pages receive. There are also tools that can help you find problems on your webpage that you weren’t aware of, broken links and other useful things that should be in place before your new website goes live. Helps you find a different kind of bugs on your website. Monkey Test It provides a wide variety of tools, adapted to the different needs you might have varying from the Scout Monkey that will help you look for broken images, CSS files etc. to the Public Relations Monkey that will help you check for fundamental SEO mistakes. Monkey Test It comes with a free trial and different payment options after that. Provides you with different tools and reports that help you measure your sites traffic, performance and to fix different issues. Google Search Console gives you the option to submit your sitemaps and individual URLs for crawling to identify any potential problems. It also comes with detail information about the different issues it encounters. Last but not least, Google Search Console comes for free! If a page isn’t correctly redirected, it can lead to a 404 error (page not found) — which is something that you want to avoid at all costs. A 404 error on one of your less important pages might still be salvageable, but a 404 error on one of your high traffic pages might lead to permanent traffic decline. This is the part where you don’t recognize your neighbor due to her plastic surgery. Sitemaps are XML or HTML files that list every URL on your website, together with important metadata for each URL that includes when it was last updated, its relativity within the structure and how often you make updates to it. The sitemap is a core part of the website and critical to SEO — when Google crawls site pages, the helps Google index your website pages and tell it about the organization of your site content. If the pages aren’t indexed properly, they won’t appear in any search results. 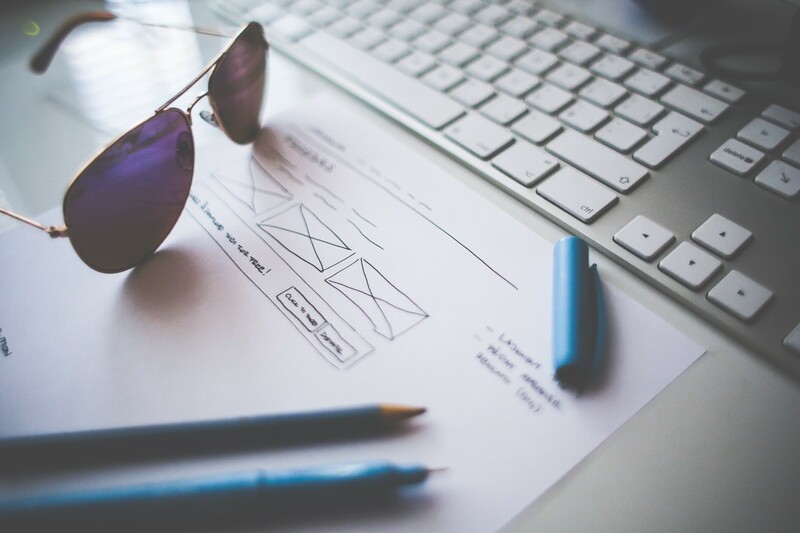 It’s very unlikely that your sitemap won’t change during a redesign. Therefore it is crucial to creating a new sitemap before implementing a new design. Thankfully, there are a lot of good tools out there to help you with the task. Allows you to create, edit and share sitemaps. It’s integrated with Google Analytics, link information and comes with keyword tracking, content inventory, audit tool, and other advanced options. It allows you to choose between three sitemap styles that you can customize in different ways and comes with a comment section so you can discuss plans and changes on the spot. You are provided with a free trial period of 14 days, after which you can choose between different options based on your needs such as a number of users and crawl limits. If your website is built through WordPress, you will also need a tool that works within the CMS environment. WordPress XML Sitemap Plugin is a great tool that is easy to set up and offers various settings such as listing all your posts, archives and tags, set a sitemap value for priority and frequency on different levels and an auto ping for when you have updated pages/posts. Comes with a basic version for free, and the possibility to upgrade to paid premium. Something that is also good to know in combination with the content audit that you should begin with, is how site architecture affects Google rankings. Google passes value through internal links on your website and the value depends on the location and organization of your pages. Pages that are linked closely to important pages (high traffic pages) receive more value than the ones located 3–4 clicks away from the important pages. It is therefore important that you link your most relevant pages close together, in order to achieve higher rankings. As mentioned previously, an SEO optimization plan helps you get an overview of the performance of your website. This is especially important when it comes to your keywords and targets. If you’re redesigning your website, you most probably want the new one to function better than the previous one. Therefore, it is important to analyze your current keyword performance and evaluate which of the keywords should be used on the new website. A common misconception is that Google considers the ‘keywords’ meta tag when ranking your website. It doesn’t (anymore) consider this particular meta tag, but does consider the keywords found in titles and content. Click here for more information — Google Webmaster Central Blog. If a keyword is performing badly, it might be an idea to find a better keyword target. If a keyword performs well, on the other hand, you will most probably want to bring it to your new website as well and keep it associated with the same page on the new site. This might also be the right moment to conduct new keyword research, especially if your new website is coming with new content. Keep in mind that keyword research is something that should be conducted often and on regular basis, not just during big website changes. Another thing that is important to think about, is avoiding keyword cannibalization. Keyword cannibalization is when internal pages are competing for the same terms in search results which causes problems for Google in regards to the relevance of your pages. If you target the same keyword with several pages, Google won’t know which page is the most relevant for a specific query and will have to make a choice itself. It might choose the completely wrong page which increases the risk of traffic loss. At last, but what should actually be thought of at the very beginning, is that your transition and SEO optimization plan and redesign plan should both be developed simultaneously. Your car won’t run without a functional engine, no matter how beautiful the design is. In some cases, even a defect engine will run, but the longer you let it, the higher the costs of fixing it. And worst case scenario, you won’t be able to fix it at all and have to start over with a new car. The same applies to your website — if you don’t take the right precautions before redesigning your website and consider all the relevant aspects, you might end up with costly damage and worst case scenario — permanent loss of potential business on a big scale.